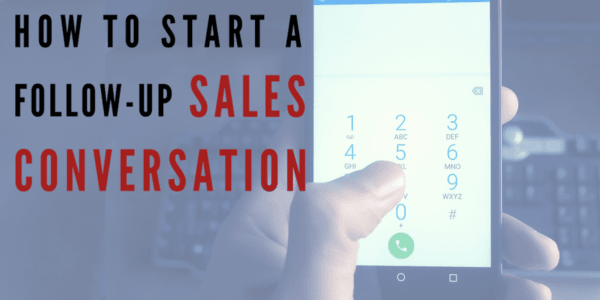 Contrary to what some like to teach, you’re not going to close every sale in your first conversation. Sales is leadership. Not beating someone into submission. 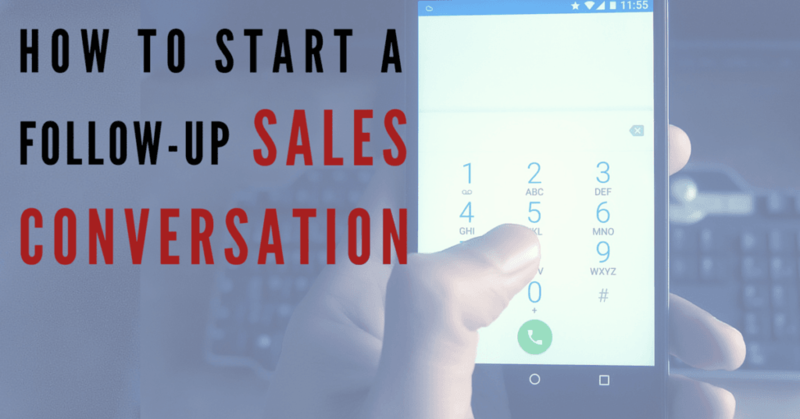 And so it’s inevitable that you’ll be having follow-up conversations with potential clients. But your follow-up conversation has to be handled with aplomb. A leader doesn’t start that way. Only an unclear salesperson. But again, sales is leadership. Not nagging. And not arm-twisting. Sales is leading someone from where they are to where they want to be. And as humans, we often need someone like you to help figure out how to get there from here. So how would you lead that second conversation? First the principle. Then the precise wording. The principle: You must always meet your prospect where he or she is. And since time has elapsed, you don’t know where they are right now. You only know where they were when you last spoke. So your first job is to uncover where they are now. Part 1: Summarize where they were when you last spoke. Because you can never lead someone until you first know where they are. To lead in your sales conversations you need the language; the wording. But more importantly, you need the underlying thinking and skills. Think back to your last sales conversation. Was it smooth? Or did you lose control? Were you leading it or were you winging it? How much money have you left on the table over the past 90 days simply because you didn’t have the thinking and skills to elegantly lead your sales conversations? How much will you earn in your very next sale – simply because you’ll use linguistic leadership I can teach you? Go have a look. And email me with any questions.